The Maine Credit Union League and Maine’s credit unions have a long history of providing financial education. Whether it’s helping people during difficult times or introducing Financial Fitness Fairs to Maine students, people of all ages benefit from the resources, expertise and knowledge offered by Maine’s credit unions. After all, consumers of all ages who know more about financial education are more likely to be successful. There are a variety of ways that Maine’s credit unions can help. 2017/18 school year – More than 50 Financial Fitness – A Money Management Experience Fairs (in-person or online) were held across Maine, reaching a record 8,774 students. In 2017/18, Maine credit unions reached nearly 20,000 Maine students from K-12 through various financial education efforts. 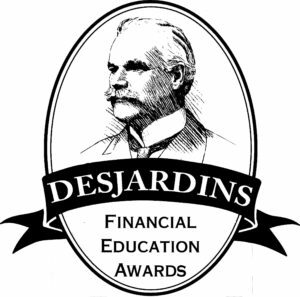 The Maine Credit Union League and Maine’s credit unions have received a national Desjardins Award for Youth Financial Education for a record seventeen consecutive years. A Retirement Fair was introduced in late 2017 and is beginning to be offered by the League and Maine’s credit unions. Maine credit unions have a dedicated Financial Education Outreach Coordinator to help young adults with financial issues, challenges, and opportunities.